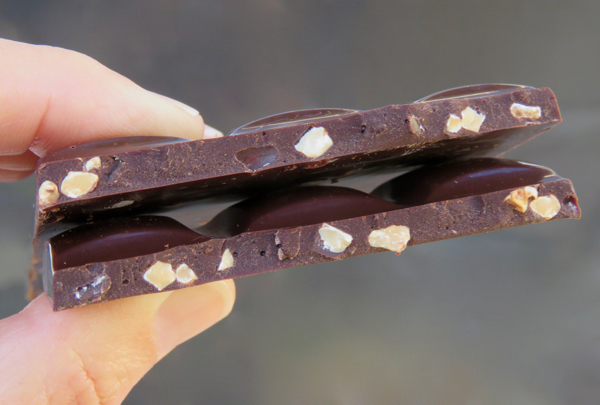 Welcome to Day #2 of Chocolate and Peanuts Theme Week. 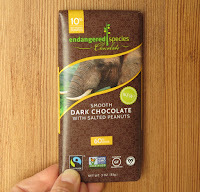 Today's Smooth Dark Chocolate with Salted Peanuts bar was from Endangered Species Chocolate, LLC (Indianapolis, IN). The company donates 10% of its annual profits to GiveBack partners who are involved with conservation efforts. 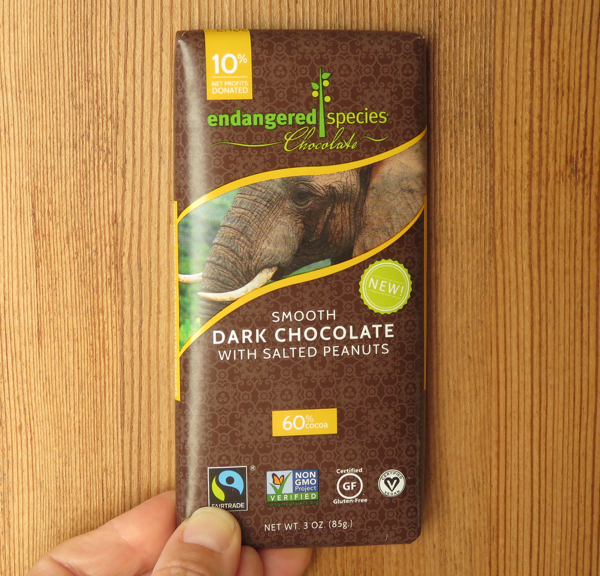 * Each bar includes information about a threatened or endangered species. Today's bar featured an image of an African Elephant on the outside wrapper, with a small arrow on the back ("Look Inside for Info on the Elephant"). The arrow invited people to read the printed story on the inside about challenges and opportunities involved with saving this species, including information about the Elephant Crisis Fund. 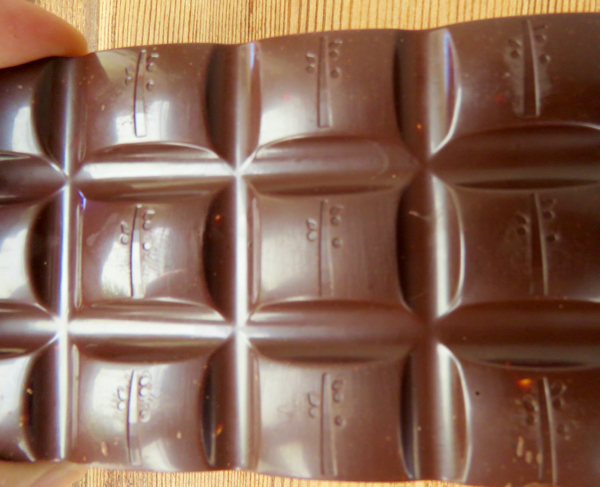 The smooth, sweet dark chocolate (60% cocoa with a faint smokey note) provided a nice contrast to the small chunks of embedded peanuts and Himalayan salt. This bar was Certified Gluten Free and Vegan. *According to the company's reports, more than $1.3 million USD have been donated to GiveBack partners to date in the last three years.